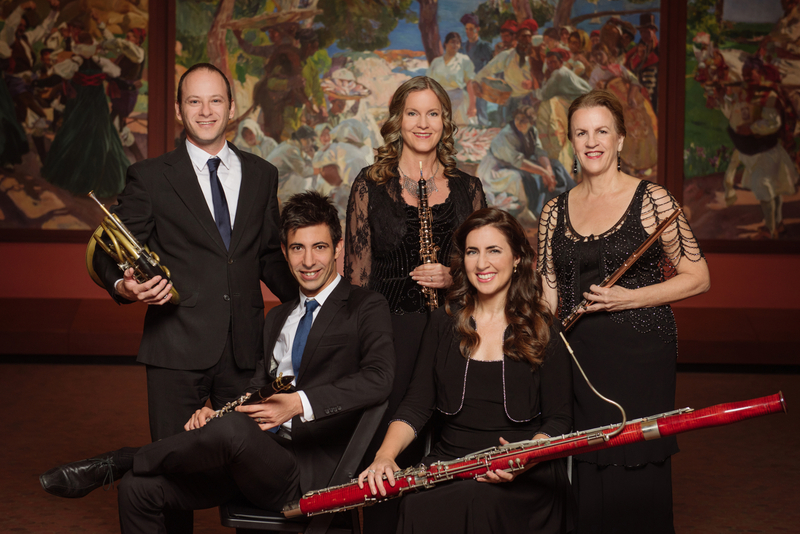 Hailed by the New York Times for "…its venturesome programming and stylishness of performance," the Sylvan Winds has appeared under the auspices of Carnegie Hall, Lincoln Center’s Mostly Mozart Festival and the Caramoor International Music Festival. Chosen to perform at the NY Governor’s Arts Awards, the ensemble has presented imaginative and scintillating programs of chamber works for winds in such places as Town Hall, Merkin Concert Hall, the White Mountains, the Cape Cod and Skaneateles Festivals, Rutgers University’s Summerfest, Amherst College, the Chicago Chamber Music Society and the Sejong Cultural Center in Seoul, Korea. They have recorded for the Koch Classics, and CRI/New World, and North/South labels, and have enjoyed collaborations with such distinguished artists as Gerard Schwarz, Ransom Wilson, the Guarneri String Quartet, pianist Claude Frank, radio personality Robert Sherman, and actor Louis Zorich.